Fort Langley Village Farmers Market 2018 Saturday’s 10.00am – 3.00pm – May 5th to October 27th 2018. This is the weekly Market in the Village of Fort Langley, the birthplace of B.C. We’re located at St. Andrews Historic Church 9025, Glover Road. Fort Langley. Admission is Free! Buy Local! Support Local! Farm fresh produce, baked goods, bbq treats, hand-made items, spices, we even have a winery or two and a vodka distiller sometimes! You just never know what you will find but you can be sure you will find something you want. A special Market in a very special place: the historic village of Fort Langley. 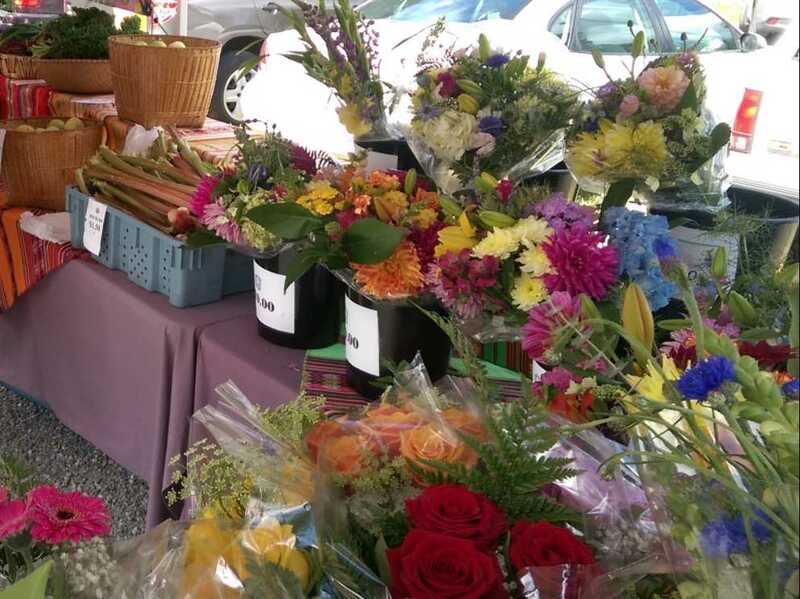 Fort Langley Village Farmers’ Market features local B.C. Farmers’ and Fresh Food Vendors bringing in fresh local produce, field greens, vegetables, fruits & flowers, local craft beer, wine, tasty prepared foods from our Fraser Valley, the Similkameen & Okanagan Valleys. Who doesn’t love The Perogie Hut, fresh hot & frozen perogies by Judy & Lawrence? Awesome! Also, our local artisans present a huge variety of B.C. Arts & Crafts, including paintings, hand-made jewelry, hand-made soaps, creams & oils, children’s hand-made wool and cotton clothing, hand made woollen slippers from local sheep-farm spun wool, woodcrafting, glass art & metal arts, re-purposed antiques & furniture, and much more. Come and browse their market booths this Saturday from 10.00am – 3.00pm.